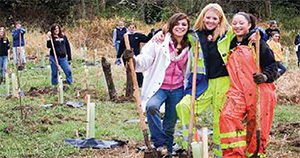 We’ve helped our clients build and execute strategies to finance important environmental work. 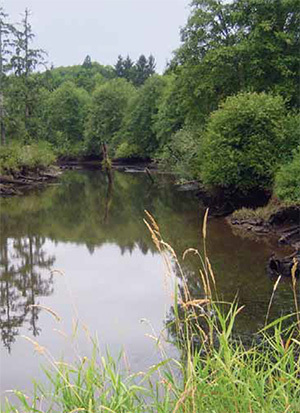 For Seattle Public Utilities, Evergreen first worked with utility managers to evaluate the potential to secure grants and loans for their broad array of infrastructure and environmental programs, then used this assessment to help the agency develop applications and proposals that raised more than $20 million in outside funding for the agency over a ten-year period. For the Puget Sound Partnership, Evergreen helped develop the funding approach for the first Action Agenda in 2008, including strategies for raising federal and state funding and allocating it to the most cost-effective projects, and then updated the strategy in 2014. The funding blueprints developed by Evergreen for the Partnership and its predecessor the Shared Strategy for Puget Sound have helped the agencies raise more than $500 million in salmon funding since 1999. For the National Fish and Wildlife Foundation, Evergreen helped develop funding partnerships with state agencies and non-profit organizations that resulted in the creation of the Community Salmon Fund, a small grants program to support community-led salmon recovery projects, and went on to help select, fund, and manage more than 500 projects throughout Washington State over a twelve-year period. For American Farmland Trust, Evergreen President Dennis Canty served as the interim regional director from 2011 to 2014, raising the annual budget from $60,000 to $450,000 per year, building partnerships with more than a dozen new foundation and governmental funders, and building new programs to protect farmland and support local food. "Dennis helped us double the regional budget in his first year working for American Farmland Trust and then double it again the second."